Hot Upcoming Vita titles – May Update! Thought there was nothing to get excited for on Vita? Think again! Here are our current favourites! 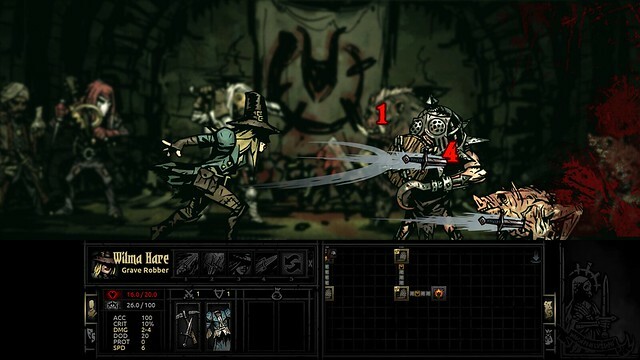 Combining fast, brutal, and complex 2D combat with richly developed RPG mechanics Salt and Sanctuary will have you discovering, crafting and upgrading many hundreds of weapons as you explore a cursed realm of forgotten cities, blood-soaked dungeons and desecrated monuments as well as the fallen lords that they once celebrated. Long-time visitors to The Vita Lounge will know that we love the Danganronpa series, so the prospect of a new title has really excited many members of the team. Are you excited? We got some hands-on with this upcoming RPG at EGX and it’s amazing. The art style, the action, the vision. It’s incredibly impressive and we simply have to have it, and it’s getting closer each month! The excitement for this title is building. Based on the anime of the same name, we hope to find out more on this very soon. Coming out in August, we hope to bring you more news soon! I was wondering if the Vita would receive a Wing Commander/Elite style game then remembered that this was coming! Find out more about this soon! Returning to our favourite upcoming Vita games, in Hyper Light Drifter you’ll explore a beautiful, vast and ruined world riddled with unknown dangers and lost technologies. Inspired by nightmares and dreams alike. Those that love the Dragon’s Quest series of games and RPGs in general will want to keep their eye out for more news on Dragon Quest Heroes II: The Twin Kings and the Prophecy’s End, which releases soon in Japan. We known many on our team can’t wait for it! The Force Awakens may have divided opinions but I certainly can’t wait for the LEGO game of the same name. With recent advancements in the portable ports and “bridging” content between Return of the Jedi and this adventure I having to “force” myself to remain patient! Releasing this summer, Shiren the Wanderer 5 follows the titular Shiren – an experienced wanderer with a weasel-y companion called Koppa – on a roguelike RPG adventure. Being a “Plus” title it even offers new dungeons to explore, monsters to battle, and gameplay options to take advantage of! That rounds off our current list. What do you make of these choices? Are you excited for any of these games or is there something else that is high on your wish list? Let us know in the comments! Would you change the pretty & shiny Attack on Titan PLAYSTATION FOUR screenshot to an actual Vita screenshot please? So it would NOT cause a heart attack for somebody who will someday see the game running on the PSV for the first time? The people must be prepared/warned ;). Also, Drifter is not WC/ Elite – it looks like “3D Asteroids on Procedural Steroids” with the flight model constrained to a …plane? So it’s not a space sim at all. I’m pretty excited for Salt and Sanctuary, Darkest Dungeon, Dragon Quest Heroes II and Shiren the Wanderer 5. Although, I’m confused as to which one of them are JP releases, and which ones are localizations. Is Star Wars that open-world PS Vita game we were promised months ago? Salt and Sanctuary looks pretty for a brutal game, I hope it offers some extensive content. Talk about more than 40hrs of gameplay and I’ll get it with no regret. As for Drifter, I’m worried considering the Steam Community’s feedback the game’s got. Maybe it’s a title that fits better the mobile gamers? We’ll see. Attack on Titan.. Has Promise … But From What I’ve Seen The Games Looks Like Its Gunna get Boring After A While ..Since All You do Is Swing around Fighting Giant’s … After About 5 hours i Think I’d get Bored … but I Could ( Hopefully be Wrong ) maybe There Is Stuff i haven’t seen yet ??? NEVER PLAYED any of the Dragon Quest Heroes’s Games Before ….. So Im Definately Going To Get ….Dragon Quest Heroes 2 …I’ve Been Wanting a Good ” NOT TURN BASED RPG ” for my Vita For Ages …Just Hate Turn based games …..